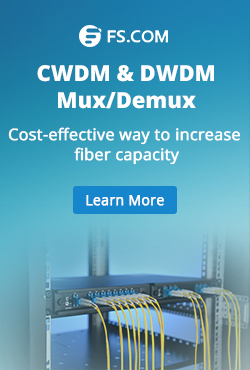 DWDM network is widely accepted as the best solution to increase network capacity over long distance. 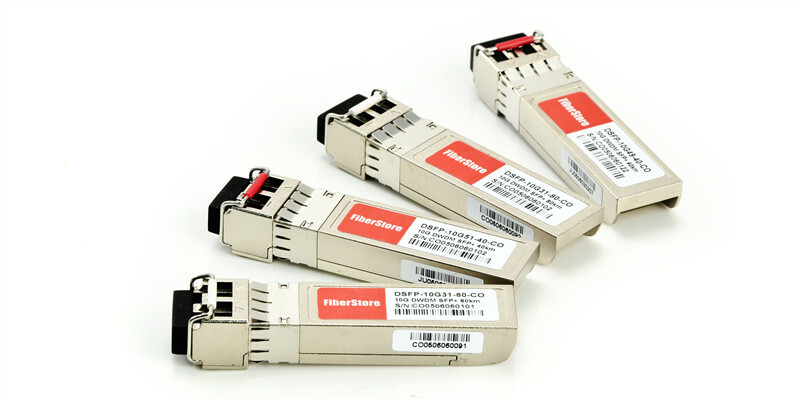 Making full use of these DWDM wavelengths for transmission need to consider about both now and future. This makes the design of DWDM network complex. Here shares a true case of DWDM networking, which fulfills the requirement for now, but is also built for future. Three duplex DWDM links (Link A, Link B and Link C) should be built between three different sites: Site 1, Site 2 and Site 3. The following table listed the distance and light loss of these three links. A backup link of Link C should be built as well. This backup link will use as length of dark fiber which passes Site 4. Thus, another two links—Link D and Link E work together as the backup for Link C. Meanwhile, Link D and Link E also work independently for 6 ways optical transmission. The following table lists the distance and the light loss of these links. As not all the links in this DWDM network are transmitting the same information, different wavelengths should be used. For instance, Link A and Link B only transmit 2 ways of optical signal, while Link C is required to transmit 10 ways of optical signal. And some of them are of different data rates. 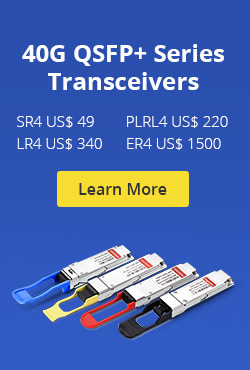 Assignment of the DWDM wavelengths in these links is very important. Considering about the future network expanding needs, Site 1, Site 2 and Site 3 are suggested to deploy 40-Channel DWDM MUX/DEMUXs. The following will offer the detailed solution for each links. Link B is from Site 2 to Site 3. Just like Link A, it required to support two ways of 10G transmission over distance of 31km. For Link B, we use the same products as for Link A. Link C is from Site 1 to Site 3. It is required to transmit 2 ways of 1G optical signal and 8 ways of 10G optical signal at the same time over a distance of 57km with light loss of 17dB. Compared with Link A and Link B, things are much different for Link C, as the distance, network capacity and power consumption are all increased. It means more device should be added. Overcome Large Light Loss: To ensure that the optical signals are powerful enough to reach the distance, EDFA are suggested to be deployed. 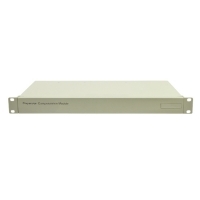 An 13dB output booster EDFA is suggested to be deployed after the DWDM MUX Tx end in both Site 1 and Site 3. Overcome High Power Consumption: As the more wavelengths are used in Link C, more DWDM fiber optic modules should be used. 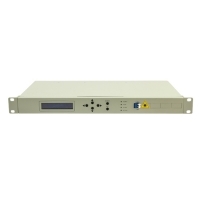 As the power consumption of DWDM modules are higher than normal optical modules, install large sum of DWDM modules in one switch would increase the risk of fault caused by high power consumption. 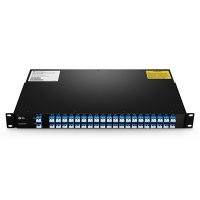 OEO converter which can support the optical wavelengths transmission between normal SMF & MMF wavelengths to DWDM wavelengths are suggested to be deployed between DWDM MUX/DEMUX and switch. This can reduce the fault risk caused by high power consumption effectively. Link D and link E are working together as the backup Link C, so ten different wavelengths should be used as in Link C. Meanwhile, both Link D and Link E are working independently. Both of them are transmitting 6 ways of optical signal. Here we used two OAMDs at Site 4 to multiplex another 6 wavelengths into the existing network. 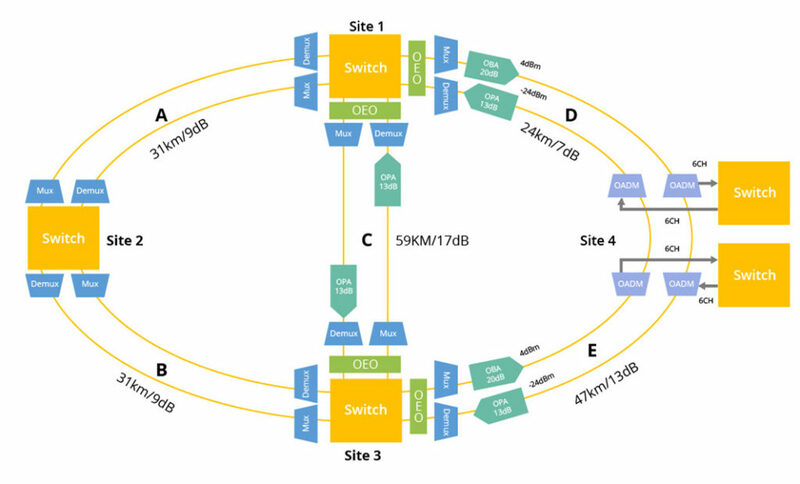 Link D + Link E is 71 kilometers long, which is much longer than Link C. To support this backup link, except the devices used in Link C, 20dB optical booster EDFA is suggested to be added in both Site 1 and Site 3 at the DWDM Mux/DEMUX RX port. 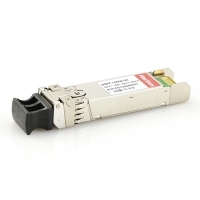 As Link D is only 24km and link E is 47km, for their independent working, DWDM SFP+ modules support 40km is suggested. The following listed the products for Link D + Link E in Site 1, Site3 and Site 4. The products mentioned in the above case are all provided by FS.COM. Here offer the details for your reference. In FS.COM, you can offer your requirement for networking to the tech support team and get the suitable and reliable performance solutions for your projects. This entry was posted in Network Solutions and tagged 80km DWDM SFP+, DWDM networking, DWDM wavelength, EDFA on April 18, 2017 by Alice Gui.